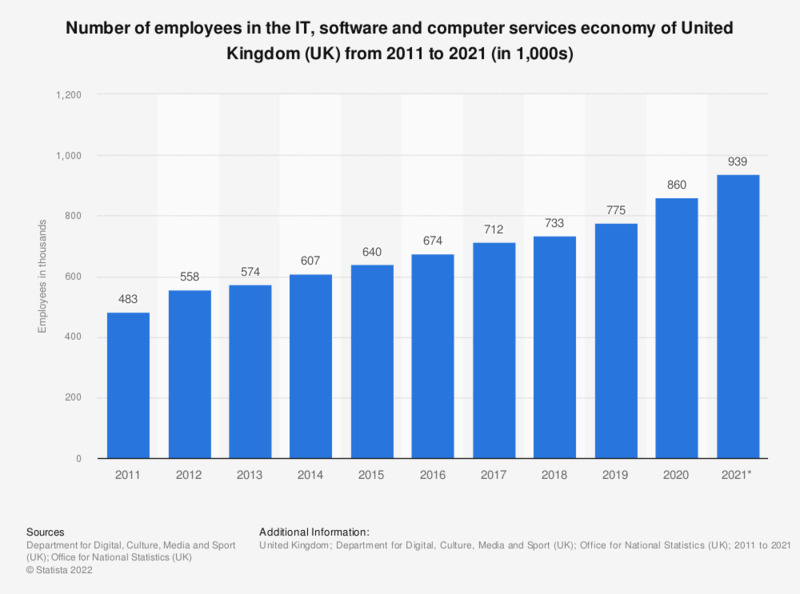 This statistic displays IT, software and computer services economy employment in the United Kingdom (UK) from 2011 to 2017. In 2017, 712 thousand people were employed in jobs in the IT, software and computer services sub-sector of the UK's creative industries. This figure increased from 674 thousand people employed in the sector in 2016. Estimates rounded to the nearest 1,000.